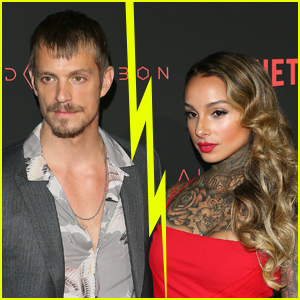 Reports are emerging that Joel Kinnaman and Cleo Wattenström have reportedly split after two years of marriage. Us Weekly is reporting that the 39-year-old actor and 26-year-old tattoo artist split last year but remain friends. Since splitting up with his wife, Joel has been spotted out and about with model Kelly Gale. Joel revealed his marriage to Cleo back in 2016. So far, there has been no official word from Joel or Cleo about this report. Stay tuned as we find out more and we’ll update when we know more. Joel Kinnaman & Wife Cleo Wattenstrom Bare Hot Tattooed Bodies in Hawaii! Joel Kinnaman & Scott Eastwood Suit Up at 'Suicide Squad' NYC Premiere! 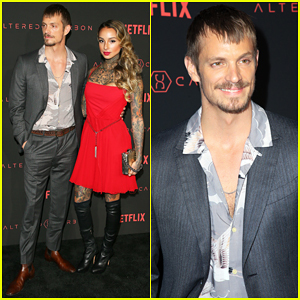 Joel Kinnaman Reveals He's Married to Cleo Wattenstrom!